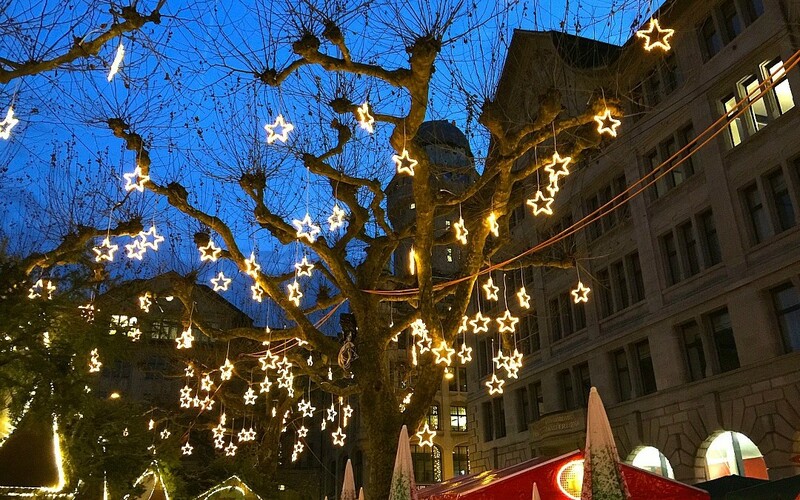 Zurich Christmas markets are fairly low key. 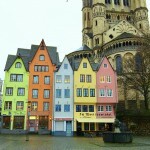 At least by comparison to most of the markets I visited in Germany. 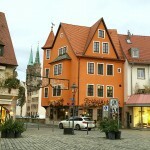 For this reason, I found them cozy and intimate and local-feeling. 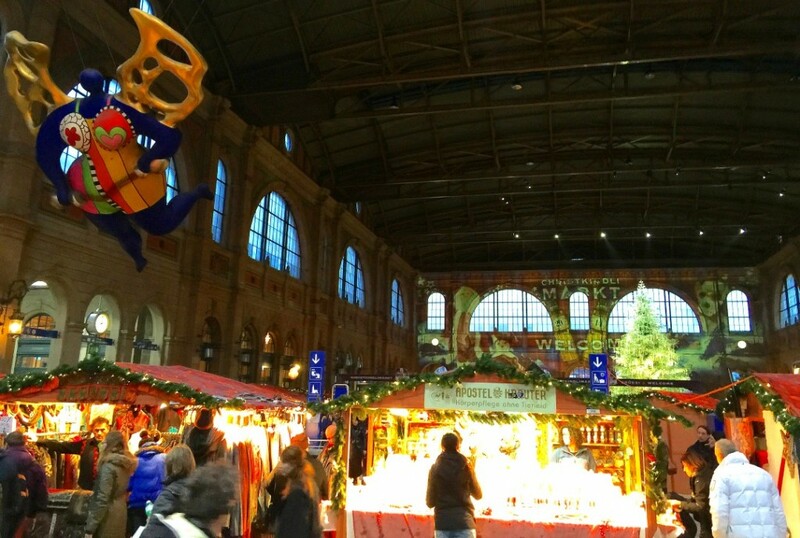 The indoor market at the Bahnhof (main train station) would be the exception, that one is a little more crowded, and is one of the largest indoor Christmast markets in Europe. But even though it is large, it still felt relaxed to me. The crowning jewel of this market is the enormous Christmas tree dripping in Swarovski crystals. It’s gorgeous in person, and you can purchase the ornaments there to take home. I wish I had done that, it would have been nice to have that physical memory hanging from my tree. Not far from the Bahnhof are some small outdoor markets, and for me, this is where the magic was. 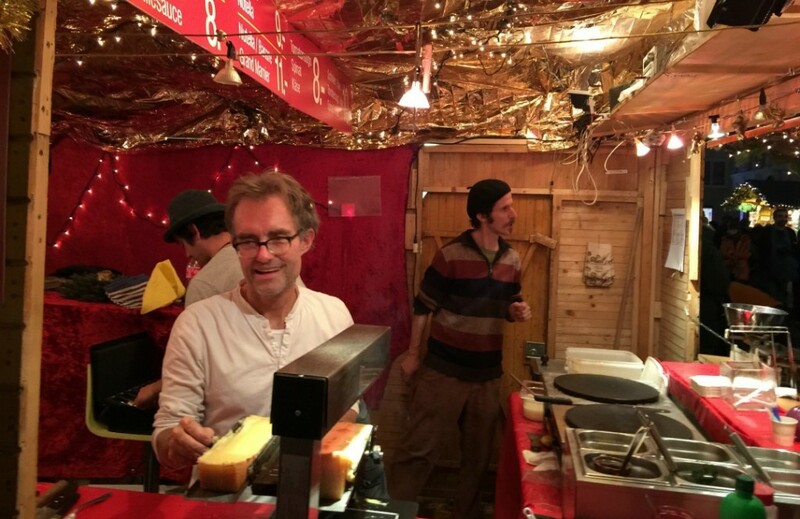 The air is filled with the smells of spices and pungent cheese. Fondue is common as is Raclette, a melted cheese over bread. 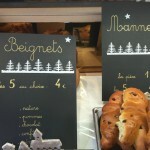 And there are stands where you can find both, along with hot spiced wine. 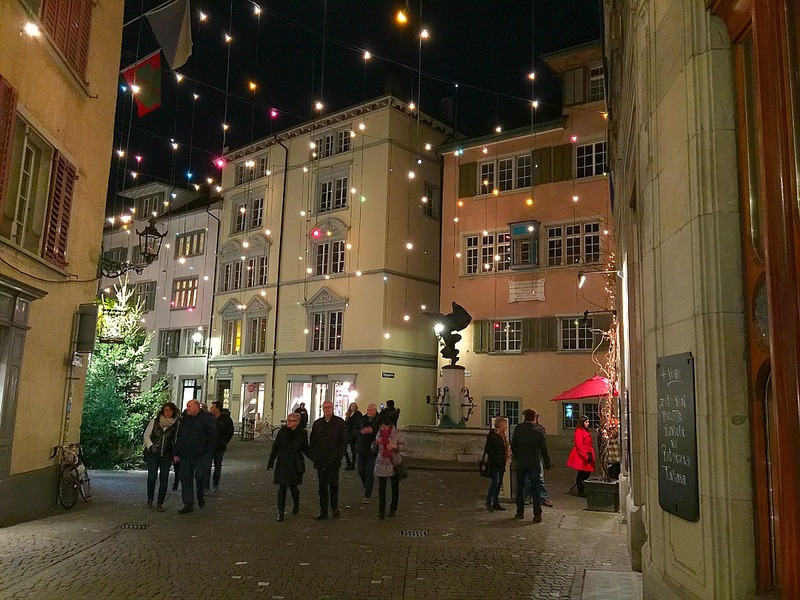 Not far from the Bahnhof is the smallest Christmas market in Zürich at Werdmühleplatz. 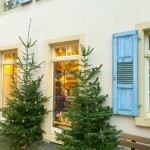 There are about ten stalls and the “Singing Christmas Tree” which is a concert of carols sung in a Christmas tree formation by various local choirs. 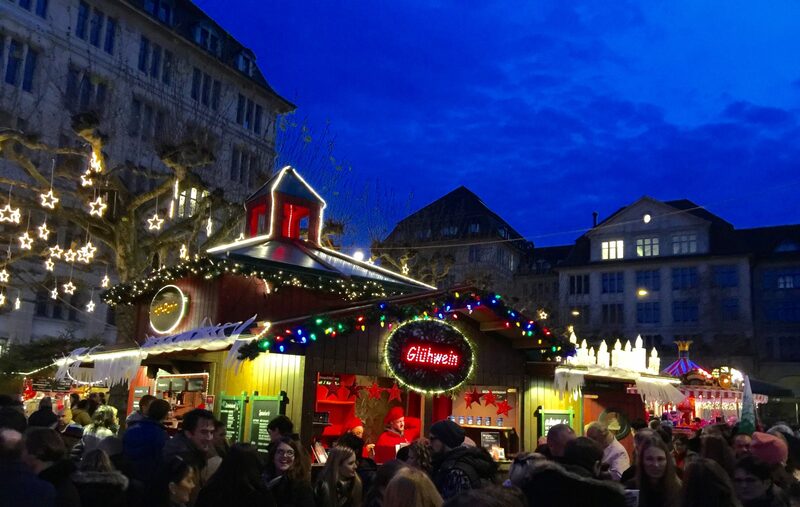 Zurich’s oldest Christmas market is held in the Niederdorf quarter in Old Town. The lights here are the old glowing lights that float mid-air like stars. This is a place to stroll and linger and just absorb the magic. 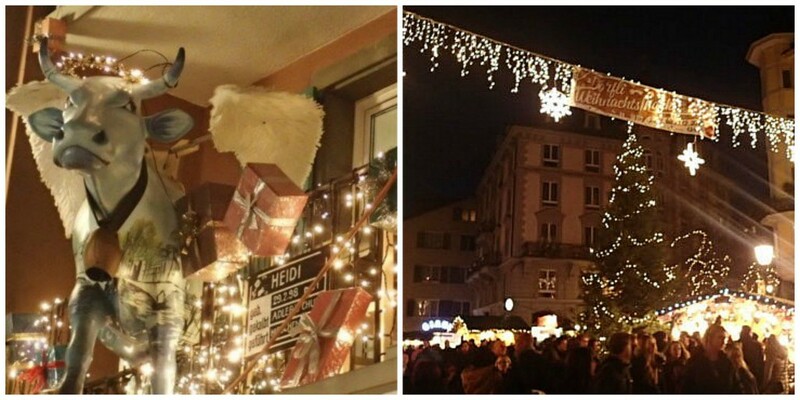 A good Christmas market should make you feel like a kid again. At least it works that way for me. 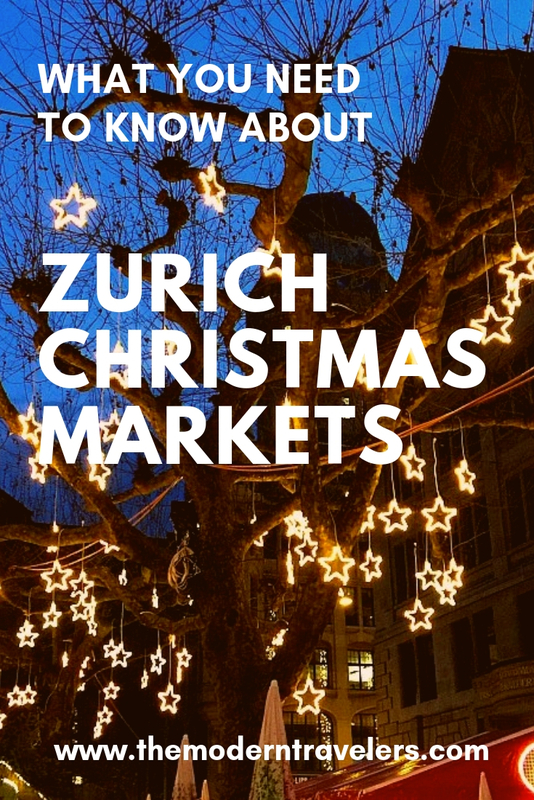 In Zurich, the markets each have their own individual vibe and it’s easy to cover all of them in a weekend. 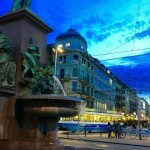 You should try some traditional roclette or fondue and spiced wine. And chocolate! 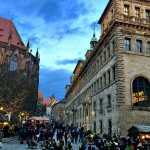 If I could only visit one market, I would head to Old Town.